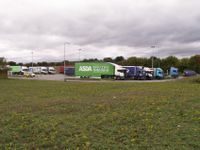 This is a list of truckstops which are documented on Motorway Services Online. For more detail, see the page on truckstops. You might also want a list of Highways Agency-approved truckstops, which is slightly different.